The GearWrench indexing combination combination ratcheting wrench features a pivot joint that can be unlocked for rapid piston pumping motion. The pivot joint on the GearWrench indexing combination combination ratcheting wrench can be locked into multiple positions to allow access to hard-to-reach places. The GearWrench indexing combination combination ratcheting wrench's 72 teeth ratcheting box end needs as little as 5 to move fasteners versus 30 for standard box end wrenches. The GearWrench XL locking flex ratcheting wrench features Surface Drive on the box end, which provides off-corner loading for better grip and reduced fastener rounding. 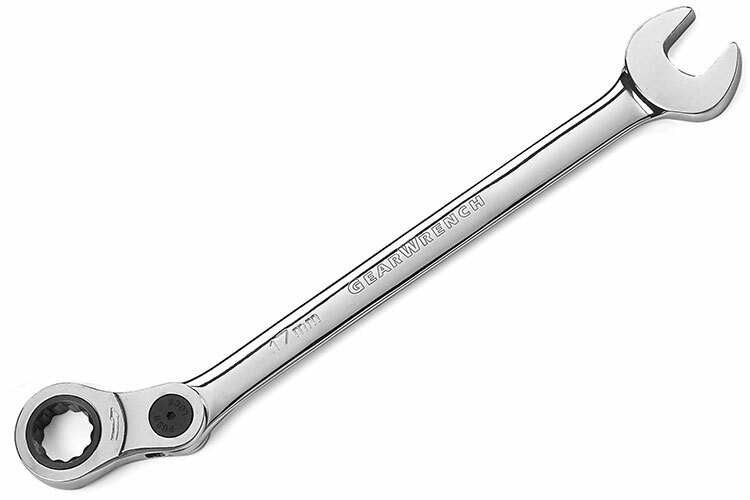 The 85445 GearWrench 15mm 12 Point Metric Indexing Combination Ratcheting Wrench is one of thousands of quality tooling products available from MRO Tools. 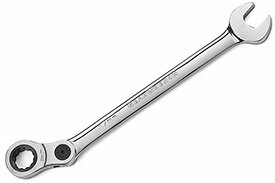 Please browse GearWrench Indexing Combination Ratcheting Wrenches, Metric for tools similar to the 85445 GearWrench 15mm 12 Point Metric Indexing Combination Ratcheting Wrench. 85445 GearWrench 15mm 12 Point Metric Indexing Combination Ratcheting Wrench description summary: GearWrench 15mm metric indexing combination ratcheting wrench Fastener Size: 15mm Point Size: 12 Point Open End Width: 1.299'' Open End Thickness: 0.315'' Ratcheting End Width: 0.766'' Ratcheting End Thickness: 0.171'' Overall Length: 8.185'' Quantity discounts may be available for the 85445 GearWrench 15mm 12 Point Metric Indexing Combination Ratcheting Wrench. Please contact MRO Tools for details.